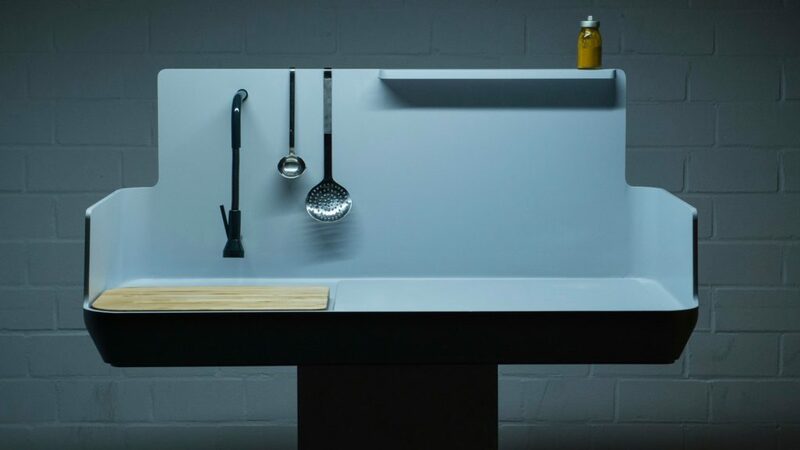 A conceptual cooker hood won the LivingKitchen category of the Pure Talents competition, run by organiser of immCologne and LivingKitchen Koelmesse. Maxime Auguay won the category, which had been included for the first time in the Pure Talents competition, for his Portable Kitchen Hood. He was joined by finalists Peter Sorg and design duo Larrisa Siemon and Lena Ohmstede. They created the kitchen laboratory SPL360 and a moveable outdoor kitchen, Godbit, respectively. 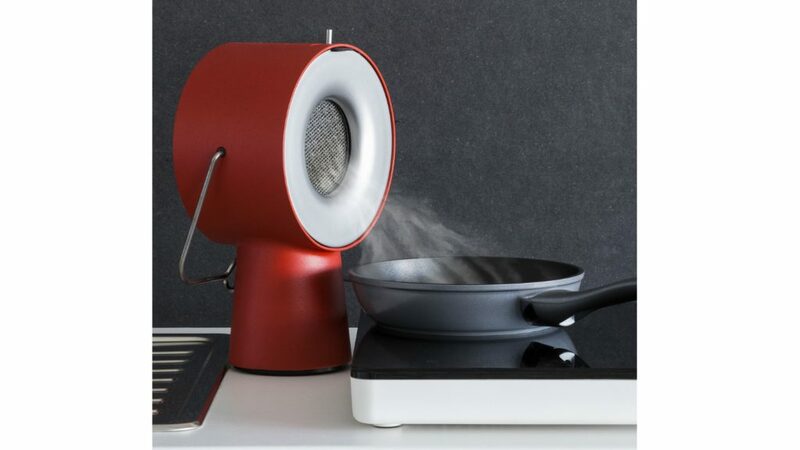 Designed to extract vapours at the source, the concept Portable Cooker Hood features two filters. It has an oil filter at the front to remove fats and activated charcoal filter at the rear to recycle the end before it is sent back into the room. In addition, it boasts a handle for portability and to hang when not in use. The judging panel was impressed with the Portable Cooker Hood’s thought-out functionality, small size and self-explanatory details. In addition, there was also a Special Mention for the SPl350 by Peter Sorg and Rebrush by Jingbei Zheng. The judges stated Sorg’s compact kitchen laboratory would fit well into future micro-apartments. Judges were also impressed by the ecological aspect and sustainability of Jingbei Zheng’s kitchen cleaning kit – Rebrush – which consisted of sponges made from Loorah.